ST. PAUL, Minn. – Since OSHA Stand-Down is coming right up, a major thing to keep in mind while you are training is to evaluate your inventory to make sure it’s up to date with all the new OSHA Walking-Working Surfaces requirements as well as other regulatory changes you may be subject to. 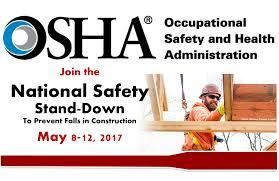 For instance, did you realize that as of January 17, 2017, there are new fall protection training requirements that must be fulfilled by May 17, 2017 under the new OSHA Walking Working Surfaces requirements? Check out our handy blog, video, whitepaper and infographic that provides tips on changes you may have to make to protect your workers and be compliant with these new requirements. 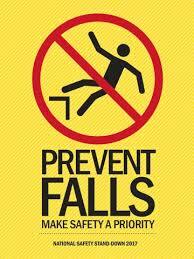 Additionally, one of the most frequently cited violations on a worksite, by the Occupational Safety and Health Administration, is the lack of fall protection. And yet, as 3M technical specialist Don Garvey, CIH, CSP points out, falls remain one of the leading causes of death in the construction industry. As you work to fulfill your training requirements by participating in OSHA’s National Safety Stand-Down, which is being held in conjunction with the North American Safety and Health Week this year, you should also evaluate the equipment you are using and ensure it is compliant with the new OSHA Walking-Working Surfaces requirements. For these reasons, 3M™ Fall Protection has launched the Trade-In, Trade-Up Program. Workers and safety managers can now trade in their old equipment for more than 170 DBI-3M™ SALA® and Protecta® Fall Protection Products and receive cash rebates. Register their purchase at go.3M.com/FPtradein to initiate the rebate. Why Trade-Up to 3M Equipment? When designing equipment that meets or exceeds safety standards, we understand that even the safest equipment cannot protect a worker if it’s not being worn properly, so we want to partner with you to make sure you get the most out of your equipment. One of our main goals with Trade-in, Trade-up is to give workers and safety managers access to training and support about the equipment that best fits your needs, that will help protect you from the hazards you may encounter, achieve compliance with OSHA fall protection regulations, and help you perform your job well. Likewise, we also offer a 3M™ Reusable Respirator Trade-in Program where workers receive 3M™ Reusable Respirator facepieces in exchange for competitive facepieces and the purchase of 3M™ Cartridges and/or Filters, which can help you comply with OSHA’s new rule reducing worker exposure to silica dust that affects many industries. To learn more visit, 3M.com/RRtradein. At 3M, we take into account the job function and comfort of each piece of equipment during the design and testing processes. The more we can help workers in all types of industries correctly wear OSHA compliant gear that compliments your work, the safer you may be and the more you can focus on the important job at hand. We also invite you to download our white paper that takes a close look at two of the most persistent dangers to workers, falls and falling tools, illustrates the risks of each, and outlines safety solutions and equipment to protect all workers on the job site.